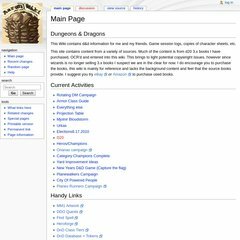 Topics: Ebay, Amazon, Rotating Dm Campaign, Armor Class Guide, Everything Else, and Projection Table. 1 1 Internet Inc. Pennsylvania is the location of the Apache server. ns57.1and1.com, and ns58.1and1.com are its DNS Nameservers. The site is programmed for PHP/5.2.17. PING www. (74.208.165.193) 56(84) bytes of data.